Benefits of growing vegetables using hydroponics. Love to garden, love fresh veggies and herbs? Not that excited about weeding? 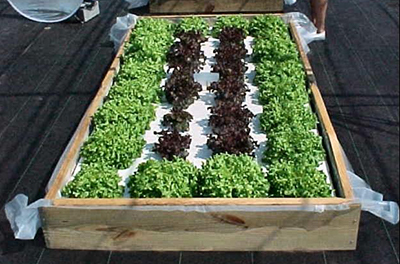 Hydroponic gardening could be your answer. Hydroponic gardening has been around for thousands of years. Ancient Egyption and Aztec cultures used this form of gardening thousands of years ago. And, today it still proves to be a very viable way to provide fresh herbs and vegetables for your dinner table. As we begin to enter into the cooler season, consider planting lettuces, mustard greens and/or kale for fresh salads.